These beautiful Japanese papers will inspire you to create dozens of origami masterpieces. With illustrated instructions included for folding a crane and a masu box (a square box for measuring rice), you'll be hooked on this popular hobby in no time. 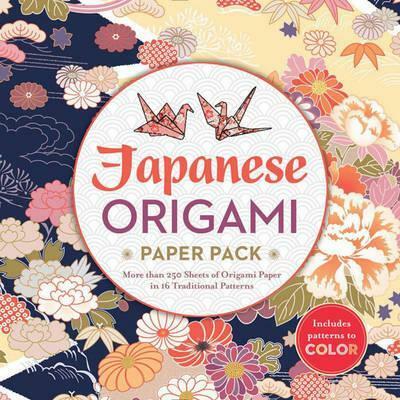 In addition to 250 sheets of colourful papers in 16 traditional Japanese patterns, there are black-and-white patterned papers to colour and fold.